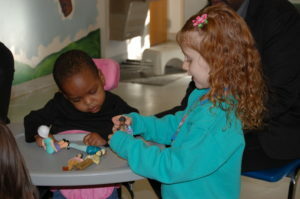 Located in St. Louis’s Central West End, Childgarden Early Childhood Center welcomes children of all abilities and those from a variety of socio-economic, ethnic, and cultural backgrounds. Diversity is our strength! Childgarden is committed to providing high-quality early care, active learning, and nurturing relationships for children of all abilities, age 6 weeks to 8 years. Childgarden is a fully inclusive early education program. That means children with disabilities and children without disabilities work and learn together in classrooms. In order to support the development of all of our children, Childgarden provides a full array of early intervention services. Whenever possible, early interventions services take place in the classroom or with typically developing peers. This provides an opportunity for all children to learn and grow together. 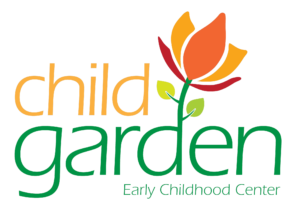 To arrange a tour of Childgarden or to enroll, contact us at 314-531-8148 or info@childgarden.org.